I was an everyday opiate user for years and eventually graduated to heroin. RDD brought me back to life. 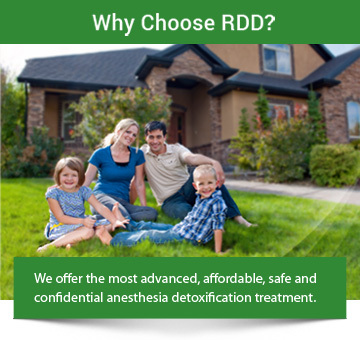 If you want to free yourself from addiction, RDD will do it. I’m about three months clean and I have never looked back. Thank you to all of the staff that helped me through as well as the caregivers that gave their time to help someone with addiction. RDD works, trust me!